Following quickly on the heels of Apple and Android, Samsung is adding PayPal Wallet as a payment option for its mobile payment platform. Users of the tap-to-pay service will have the ability to pay online or in-store using their PayPal account. This option essentially allows you to use your PayPal account the same way you would a debit card. I use my PayPal account to pay for things that are outside of my daily budget, like software and electronics, while reserving my debit card for more mundane items like gas and groceries. Of course, I could only use it online. So as an iPhone user, I was somewhat excited when Apple added PayPal as an iTunes payment option and may consider adding it to Apple Pay. My excitement ended when I found that very few establishments in my area accept payment using NFC. Having PayPal as an Apple Pay option is not much use to me after all. Samsung uses both MST and NFC technologies, which gives Samsung Pay a huge advantage over its competitors. Android Pay also relies on NFC to complete transactions, so is faced with the same limitation. This lack of NFC support is what gives Samsung an advantage with mobile payments. A couple of years ago Samsung acquired LoopPay which had developed a technology called "magnetic secure transmission” (MST). A device using MST can communicate credit card information to magnetic card readers. Therefore, the token created during a mobile transaction, which is like a temporary credit card, can be transmitted just like a Visa or MasterCard. 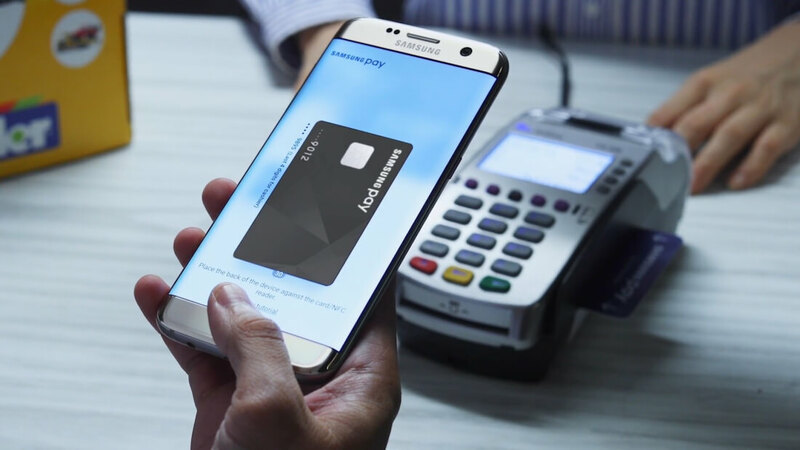 Samsung uses both MST and NFC technologies for Samsung Pay. Magnetic secure transmission works with any magnetic reader that does not require physical activation. This makes using PayPal as a secondary purchasing account more viable at brick-and-mortar establishments. Samsung Pay is available for any Android phone, but MST technology is not. The hardware required is currently only implemented on Galaxy S8, S8 Plus, S7, S7 Edge, S6 Edge+, S6, S6 Edge, S6 Active, and Galaxy Note 5. As a proprietary technology, other phone manufacturers are left to fend for themselves in finding ways to be more widely accepted. PayPal on Samsung Pay is available in the US starting today. The Korean manufacturer is working with PayPal to extend support to other countries as well. The service is expected to be available in 18 other markets including Spain, China, and India, soon.